Professor Cohen teaches and writes about copyright, information privacy regulation, and the governance of information and communication networks. She is the author of Configuring the Networked Self: Law, Code, and the Play of Everyday Practice (Yale University Press, 2012) and a co-author of Copyright in a Global Information Economy (Aspen Law & Business, 3d ed. 2010), and is a member of the Advisory Board of the Electronic Privacy Information Center. 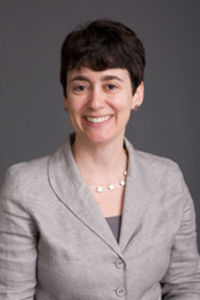 Prior to joining the Law Center faculty in 1999, Professor Cohen was Assistant Professor of Law at the University of Pittsburgh School of Law. She previously practiced with the San Francisco firm of McCutchen, Doyle, Brown & Enersen, where she specialized in intellectual property litigation. She was law clerk to Judge Stephen Reinhardt of the United States Court of Appeals for the Ninth Circuit. Julie E. Cohen, The Regulatory State in the Information Age, 17 Theoretical Inquiries L. 369-414 (2016). "Zuckerberg's new privacy essay shows why Facebook needs to be broken up," coverage by the Technology Review, March 7, 2019, mentioning Mark Claster Mamolen Professor of Law and Technology Julie Cohen. "Protecting second chances for the formerly incarcerated in the age of facial recognition," coverage by Brookings TechTank, September 19, 2018, quoting Professor Julie Cohen's Harvard Law Review article. "ICOs jumped the shark, but Ivy League university calls for regulation ain’t the answer," coverage by Coingeek.com, August 17, 2018, referencing a 2016 paper by Professor Julie E. Cohen. "The Sorcery Of A Secret Celebrity Wedding In 2018," coverage by Refinery29, June 29, 2018, quoting Professor Julie Cohen's Harvard Law Review article.